Learn to Dance West Coast Swing for Free! Workshops dedicated to you, the beginning dancer. Our beginner track is taught by national competitors Heather Fronczak and Sammy Powers who enjoys sharing their love for West Coast Swing with new dancers. 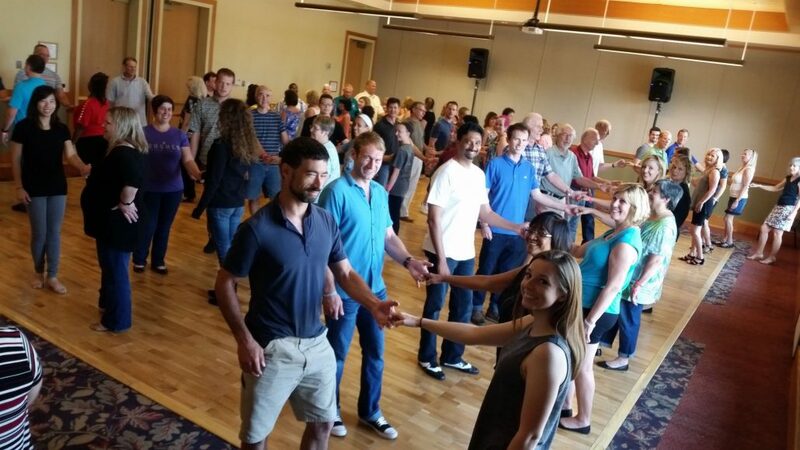 Floor Play Swing Vacation offers 3 hours West Coast Swing Lessons dedicated to the absolute beginner dancer and plenty of opportunity to practice what you learned with social dancing! In the free 3 (1 hr.) workshops, you will have the tools and moves to dance West Coast Swing. No dance experience or partner necessary. All ages accepted. West Coast Swing is so fun and we want you to come be a part of our amazing community of dancers! A weekend pass is not required to join these classes, they are absolutely free! Note: Beginner track is taught in an auxiliary room. Entrance to the main ballroom is an additional charge. When you take all three classes on Saturday, you receive a discounted rate to join us in the main ballroom for the evening’s activities!